The impending launch of DirectX 12 is one of the more exciting things to happen in PC gaming in recent years. Many people are eager to see how the low level API will improve the performance of games that implement it, especially on systems with powerful CPUs and GPUs. Futuremark is ready to give gamers a taste of what DirectX 12 will bring, launching their new API Overhead Feature Test through an update to 3DMark for Windows. The new test allows gamers to see the difference in maximum draw calls per second when scenes are rendered using DirectX 12, DirectX 11 or Mantle. PC Perspective have already run the benchmark and reported seeing a significant increase in draw calls per second when moving from mutli-threaded DirectX 11 to DirectX 12. Microsoft's new API delivered anywhere from five to 19 times the performance, depending on the hardware configuration, in a best-case scenario. Interestingly, while performance scaled relatively well going from one to six CPU cores, there were no appreciable gains moving to eight cores. Of course, GPU drivers that support DirectX 12 are still in the early stages of development, and the gains 3DMark is showing for DirectX 12 won't necessarily translate to actual games. 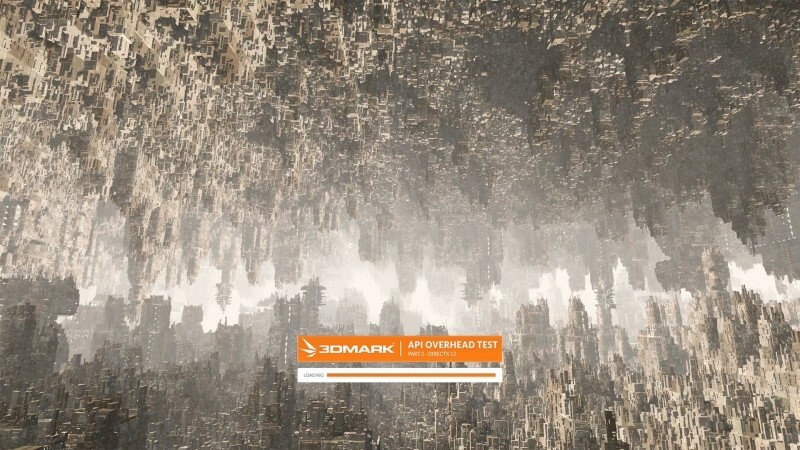 If you want to try out the API Overhead Feature Test in the latest version of 3DMark, ensure that you're running Windows 10 build 10041 or later, and have supported hardware with the latest drivers. Then go and grab either the Advanced or Professional Editions of 3DMark and get testing.